Ever since I first saw Malabrigo I loved it. I was in Iowa City for work and since I was just getting into “fancy” yarn I hunted down the LYS to see what was available. The yarn shop was Crazy Girl Yarn Shop and at first I didn’t see anything I wanted to spend money on. (Don’t get me wrong, it is a very nice shop.) However, I was just about to walk out the door when I turned to my right and saw the hanks of Malabrigo Merino Worsted. 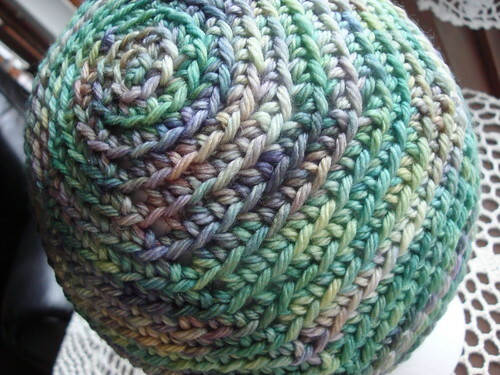 The skein below (color: Loro Barranquero) is what caught my eye. 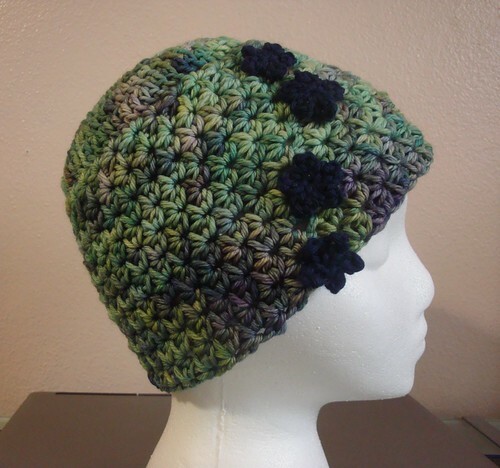 I made my first knit hat out of that skein of yarn. (Note: Never make your first anything out of fancy yarn!) 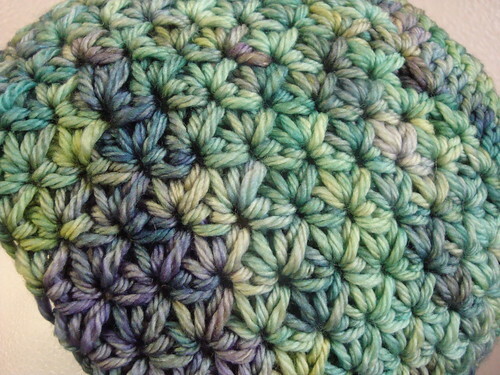 Anyway, I loved the colors of the yarn as I knitted, but the yarn does fuzz a little since it is not superwash. Really, that is my only complaint. And Malabrigo fixed that by making Malabrigo Rios! It is a merino wool superwash. Rios is my favorite yarn ever. It knits well, it crochets well, the colors are great, and it doesn’t get fuzzy. It’s also super soft. Ever since I bought a collection of Rios I have been looking for stitch patterns to show off the beautiful colors best. Two of my favorite stitches are the honeycomb brioche (knit) stitch, the crossed brioche (knit) stitch, sc in the back loop only, and the (crochet) star stitch.